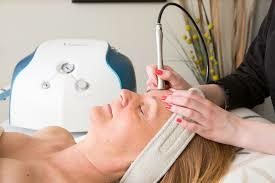 Microdermabrasion whisks away those dead skin cells to uncover fresh, clear and rejuvenated skin. Microdermabrasion is wonderful on its own. It is also the preferred way to prepare your skin for the very best results with many of our medical aesthetic treatments. The Pristine™ DiamondTip™ Microdermabrasion treatments introduces an aesthetic experience not found in conventional, crystal-based treatments. The Pristine™ microdermabrasion system is based on two sole functions: exfoliation and vacuum. Incorporating genuine, laser-cut diamonds into its treatment heads, Pristine™ is powered by the most reliable motor on the market to create the optimal microdermabrasion treatment. To qualify for microdermabrasion, you should visit our consultants to assess whether you are a potential candidate.